Today marks the release of the Leadership Newtork / Generis Multisite Scorecard. This is a fascinating study that attempts to define the multisite church movement. Once again Warren Bird does an amazing job pulling together data and interpreting it so we can understand what is happening around us. As I read through the report I was struck by a number of learnings that I think every church can apply from the example of the churches in the study. “Multisite churches grow faster, have more lay participation and reach more new believers than single-site churches.” – Leadership Network / Generis Multisite Scorecard. Regardless if your church is multisite or not … I think this report points to a number of facts about these types of churches that we all need to emulate to reach more people in our communities. Get the report and read it … you’ll see it describes a healthy and growing movement of churches that are making a huge impact on the communities they reside in. 87% of campus pastors are found internally – trained and hired from within the church. Campus Pastors are a critical to the success of a growing multisite. It’s striking to me that the vast majority of these team members come from within the church. When you think about adding new staff to your church do you first consider who is already a part of your church or do you look to bring in some outside hired help? 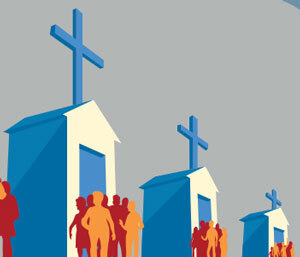 88% of multisite churches report the going multisite increased the role of lay participation. 68% of multisite churches stated they have a formal leadership development process. At it’s core it would appear that thriving multisite churches are leadership development machines … they are able to find more volunteers and staff to lead their ever expanding ministries. Critical to this process is the ability to develop leaders. How is your church tackling the leadership development process? Is it written down? Does it have a leader and a budget? It’s going to be need to formal to meet the need of reaching your community. New campuses do better at reaching the unchurched. There is a bunch data in this study that talks about how new campuses do a better job of reaching people far from God than existing campuses. One of the advantages of multisite churches is they are both “new” and “old” at the same time. Able to gain the excitement and momentum of a new location while learning from the experience of campuses that have been around for a while. What “new” are you doing at your church? How are you leveraging what you’ve learned but putting into a “new vessel” to make greater impact? How are repeating and improving on what you’ve done in a way the helps you become more effective? 47% of multisite churches have a campus in a small town or rural area. The modern church growth movement focused a lot on suburban areas. Those areas saw huge growth in the second half of the 20th century when at the same time churches were planting and growing in the suburbs. However, there are still 60 million people in the United States that live in rural areas. [ref] I’m encouraged to see these churches looking for creative ways to reach out into these contexts. How can your church reach out to the rural communities in your part of the world? Did you read the report? [Download it here.] I’d love to hear your reflections on what you think all churches can learn from the multisite church movement in the comments! Frank Bealer interview on Ensuring Alignment in Multisite Churches. 10 Tips for Soft Launch Sundays for Multisite Churches. 11 Guidelines for Multisite Central Staff When Visiting Campuses. 4 Language Pitfalls Multisite Church Leaders Need to Avoid! Jason Curlee interview on How Campus Pastors Gain Influence. Kristy Rutter interview on Making Church Mergers Work. or 49 other unSeminary articles on multisite church. Sarah Bessey on being a Jesus Feminist.